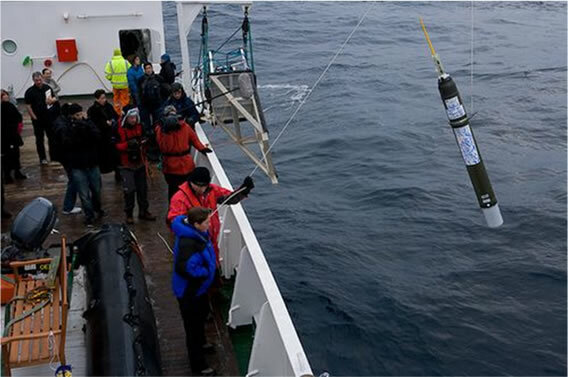 Here are a selection of images relating to UK Argo. More images are available in the international Argo gallery. 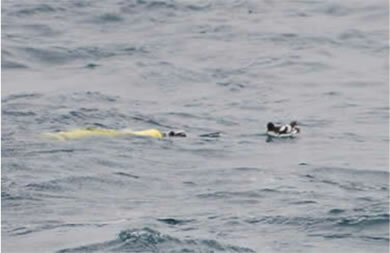 A float is investigated by a sea bird prior to its first descent. 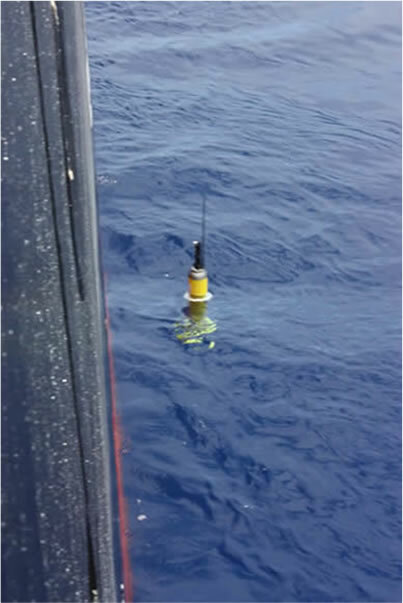 This float was one of seven deployed on the Atlantic Meridional Transect cruise in 2011. 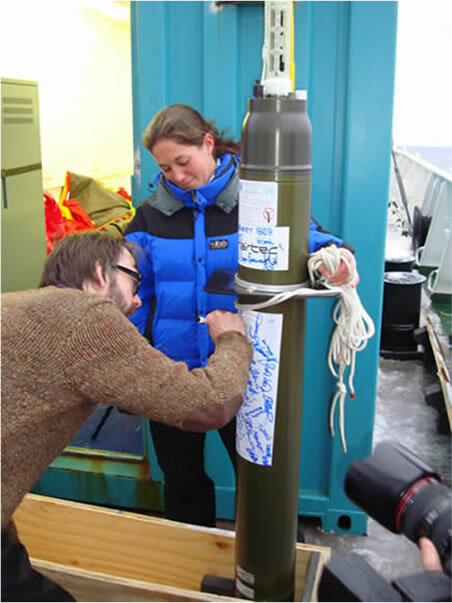 Discovery Bob, our 'celebrity float' being signed by Jarvis Cocker prior to its deployment in the Arctic. Emily Venables seen here in her role as float wrangler. Discovery Bob being signed by K T Tunstall prior to deployment. 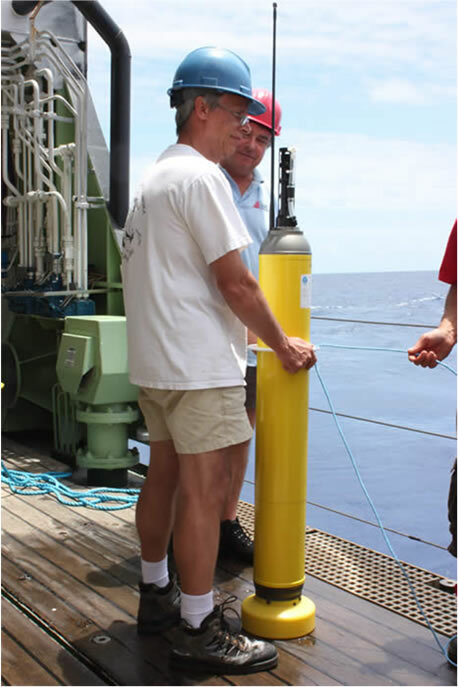 Bob's long surface drift into temperate waters, and subsequent capture by an eddie. 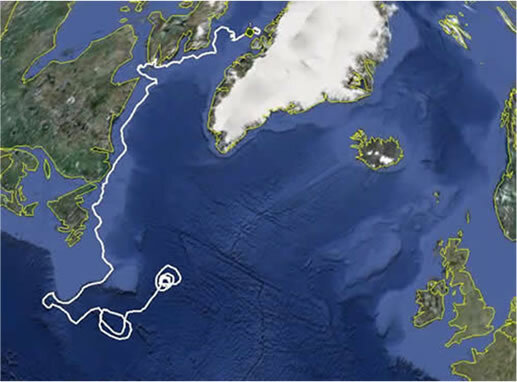 More information on Bob's journey can be found here (July 2011). 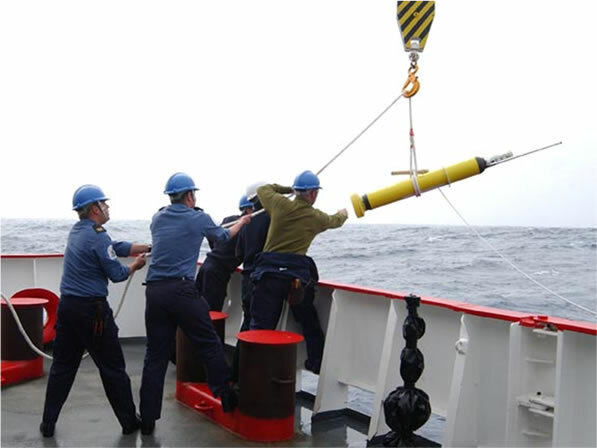 An APEX float deployed during an AMT (Atlantic Meridional Transect) cruise in 2010.